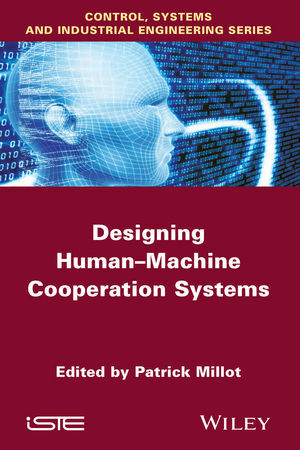 This book, on the ergonomics of human−machine systems, is aimed at engineers specializing in informatics, automation, production or robotics, who are faced with a significant dilemma during the conception of human−machine systems. On the one hand, the human operator guarantees the reliability of the system and has been known to salvage numerous critical situations through an ability to reason in unplanned, imprecise and uncertain situations; on the other hand, the human operator can be unpredictable and create disturbances in the automated system. The first part of the book is dedicated to the methods of human-centered design, from three different points of view, the various chapters focusing on models developed by human engineers and functional models to explain human behavior in their environment, models of cognitive psychology and models in the domain of automobile driving. Part 2 develops the methods of evaluation of the human−machine systems, looking at the evaluation of the activity of the human operator at work and human error analysis methods. Finally, Part 3 is dedicated to human−machine cooperation, where the authors show that a cooperative agent comprises a know-how and a so-called know-how-to-cooperate and show the way to design and evaluate that cooperation in real industrial contexts. Patrick Millot has been Full Professor at the University of Valenciennes in France since 1989. He conducts research on Automation Sciences, Artificial Intelligence and Human-Machine Systems (HMS). He is the author of approximately 200 publications and collective books. He has led several regional, national and international projects on supervisory control and transport safety.